Discover an affordable lightweight wheelchair from a leading name in personal mobility. 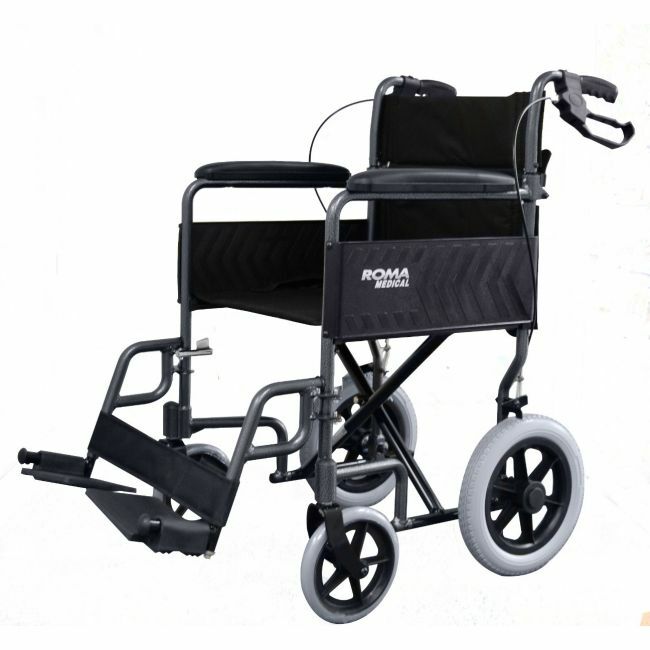 The Roma RMA 1235 lightweight transit wheelchair makes the ideal travel wheelchair thanks to its easy to fold frame. The attendant brakes can be used to slow the wheelchair down, or park it securely when its time to take in the views. Seat Width: 42cm / 16.5"
Seat to Foot Rest: 36cm /14.2" - 46cm / 18.1"